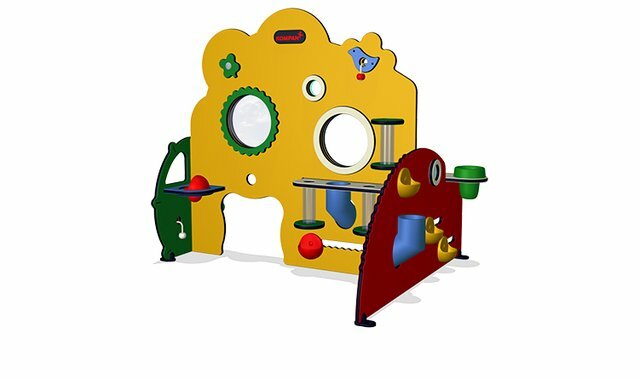 This play equipment spur role and construction play. The friendly flowers, clovers and birds support the decorative feeling of an organic factory. 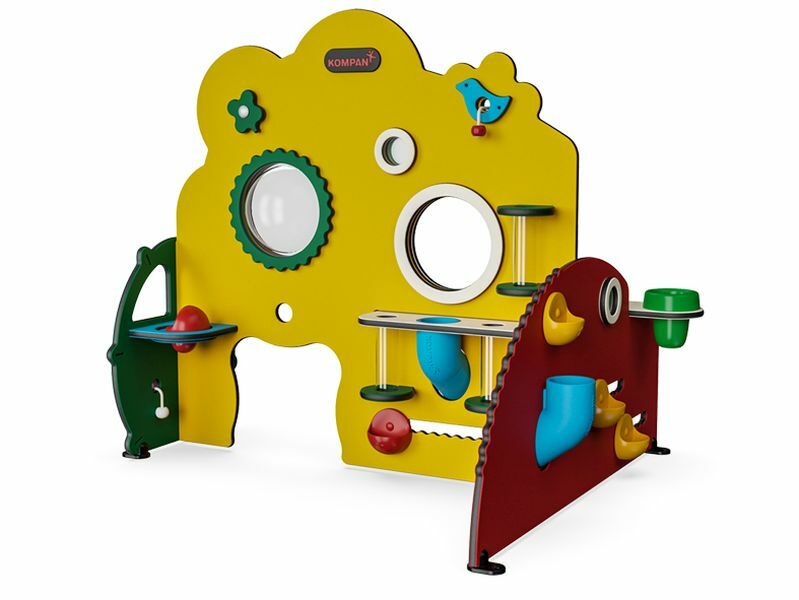 The construction play is invited in the blue tubes and the see-through tubes. The toddlers pass items of various sizes and materials through. The side tables with moveable pots offer yet another possibility of filling and emptying. 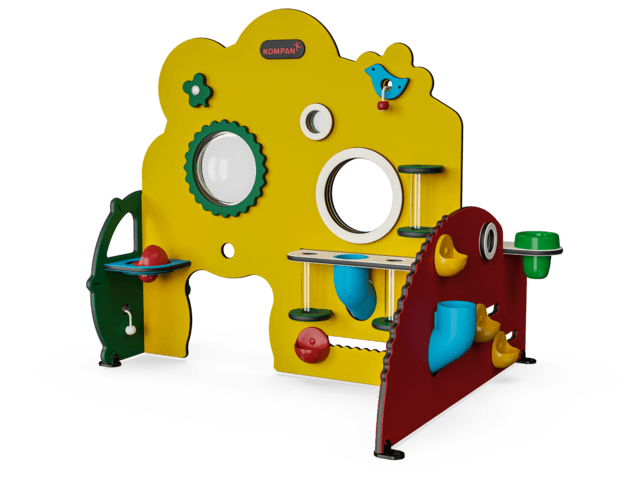 The unit invites numerous play activities such as peek-a-boo, supported by the many peek-holes and openings. 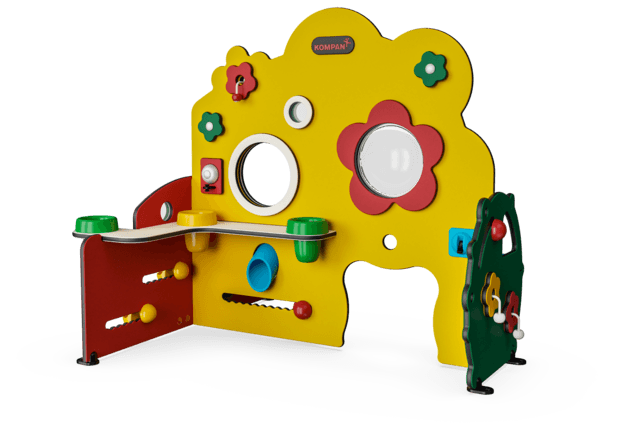 A Play Book text with curriculum supportive games, made by the KOMPAN Play Institute can be ordered.